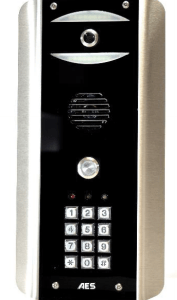 All-Rite Dock & Door Systems offers a full-range of phone entry systems to suit every application. The following three sections are the most common systems. If you have any questions regarding which phone entry system will best suit your needs or have any questions, please call us directly at (905) 840-4848 or Toll Free: (888) 704-7409. Allows you to grant access directly from your mobile device and does not require a direct phone line. Open your gate and speak to your visitors from anywhere in the world! This model has the ability to call up to 500 apartments. The digital display allows users to scroll through a directory and dial up the apartment number. 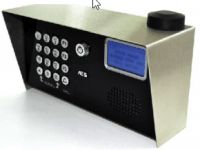 System is able to be programmed by SMS text, a PC computer or at the unit using the keypad. Using the existing WIFI, you are able to activate and communicate with your gate. Access the app on your mobile device to communicate with your guest through a video call. The mobile app allows you to record video and take picture through the duration of the video call.